This condo was perfect for my bachelorette weekend!! It was in a perfect location and very clean! I would definitely recommend it to everyone!! Great first experience going to Hilton Head"
The end of August is the best time to go. Not as many people. We have rented this condo before. 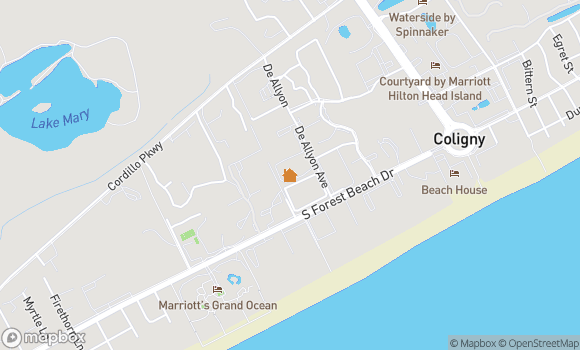 It’s in a great location to the beach and Coligny Plaza. Plenty of room for a large family." 6th time to this rental, we love it!" bathrooms were not as clean as should be.lots of black mold on bath mat.need new toilet seat and bath fixtures in second bath.location of condo was nice,no beach towels, chairs,or buggy provided." Overall, the townhome fit our needs, was spacious and very close to the beach." Always very enjoyable perfect location. Close to beach shops and tennis courts." Absolutely perfect for our family of 5 (including a 4yr old, 3yr old, and an 8 month old). We loved the location, a short walk to coligny shops and the beach. We were happy to see the kids table and the toys in stock. The unit was very clean and has everything we needed. Beach toys, chairs,etc. the only problem we had was with the cable on the tv, it would come in for a short while and then cut out. We called seashore and the sent someone out quickly. Very pleased with the unit and would love to stay here again!!!!" The experience was good. Working with the property company was easy and the condo itself worked well for our needs." We had a very good time and we already thinking about coming back soon." We had an awesome time. Thanks for such a great experience renting your condo." We have stayed at Courtside before and will definitely come back to this property. Very nice interior and had everything that we needed. Very short distance to beach and we would just ride our bikes to the store if needed. Great vacation!" Villa was fine except kitchen window and front door screens missing. We enjoy having windows open to provide fresh air through out the condo." Courtside 95 was very nice. Everything was clean. Good location, roughly a block from the ocean and walking distance to shops, restaurants and grocery store. We would definitely stay here in the future." This condo is a family friendly place and was clean and well appointed. We loved the access to the tennis university which included free lessons. We played every day! The pool was convenient and private, however, on two occasions the pool staff showed up and ordered everyone out without saying why or for how long. More communication would have been appreciated. Beach access was a manageable walk. Parking was convenient. We would stay here again." Very dissatisfied that there was no WiFi. The sliding glass doorwall was broken and would not lock(there was a wood stick in place to hold door 90% closed). Also, the master bath shower had a leak in the connector and water would spray everywhere. The dryer took approximatley 2 hours of drying time to dry a load of clothes. The baths/kitchen need updating."